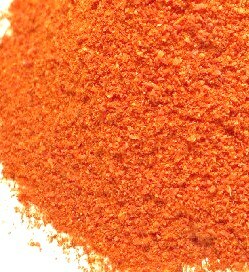 "Tandoori Masala" - A blend of spices used to cook tandoori (North-Indian) or Afghani food!!! You can get this tandoori masala ready-made almost in any Indian grocerry store... And another option is, you simply use Garam Masala instead. But to present your dish with classic "Tandoori" touch, try this out in your kitchen!!! - Combine all the ingredients above in a mixture jar and grind well to make a fine powder. - Store it in air-tight container. - 1/8 tsp red food-color can be used additionally to get bright red color. - This can be used as the only spice-ingredient for Tandoori cooking.